Slimline flip-top floating container. 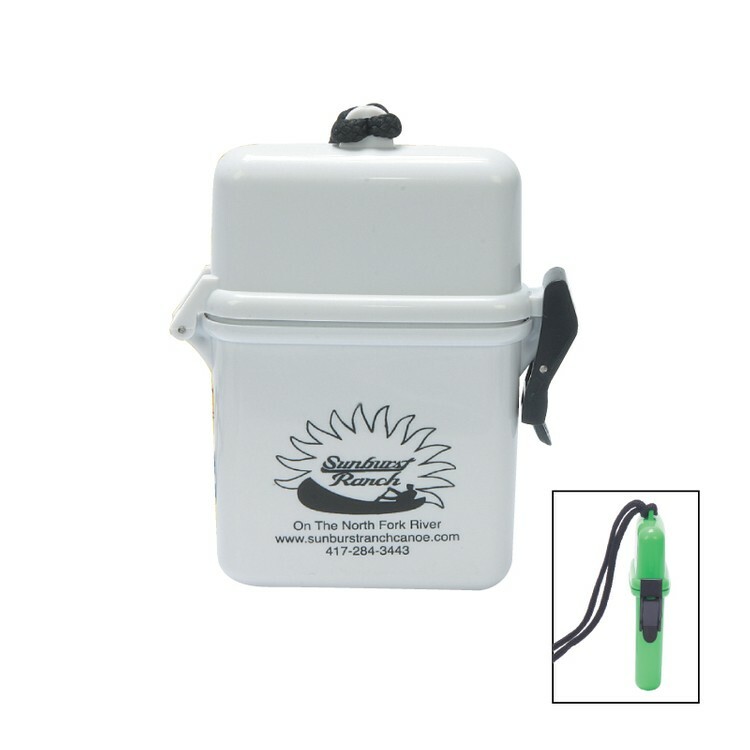 Water resistant plastic case with locking latch. Imprint Area: 1 7/8" x 1 3/8"